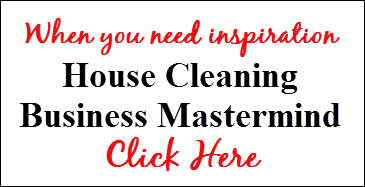 I am so happy you landed on this page because you want to know how to run a housecleaning business. After all – this is the only way you are going to make REALLY good money and have time for family and friends. We have a lot of information to assist you, but first we need to know what stage you are in your business. For instance, are you just starting out or have you had your business for a while? There are many ways to run your home cleaning business, so please take a little time to review how we can help you. You WANT to know how to find other businesses to partner with.